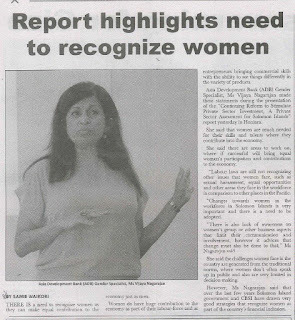 of the report in Brisbane. Key findings and recommendations from Continuing Reforms to Stimulate Private Sector Investment were shared by the PSDI team at two launch events recently. 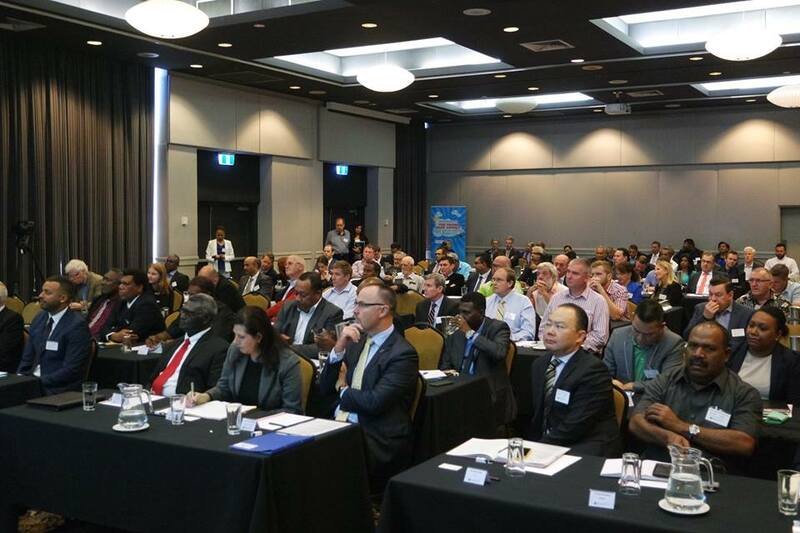 The report was presented in a session at the Australia Solomon Islands Business Forum in Brisbane, Australia, on 22 July. PSDI Lead Economist Paul Holden and Gender Specialist Vijaya Nagarajan presented it to more than 100 government and private sector representatives from both countries, including Solomon Islands Prime Minister Manasseh Sogavare; five senior Solomon Islands’ ministers; Australian Minister for International Development and the Pacific Islands Concetta Ferriavanti-Wells; Australian High Commissioner to Solomon Islands Andrew Byrne; and Central Bank of Solomon Islands Deputy Governor Gane Simbe. 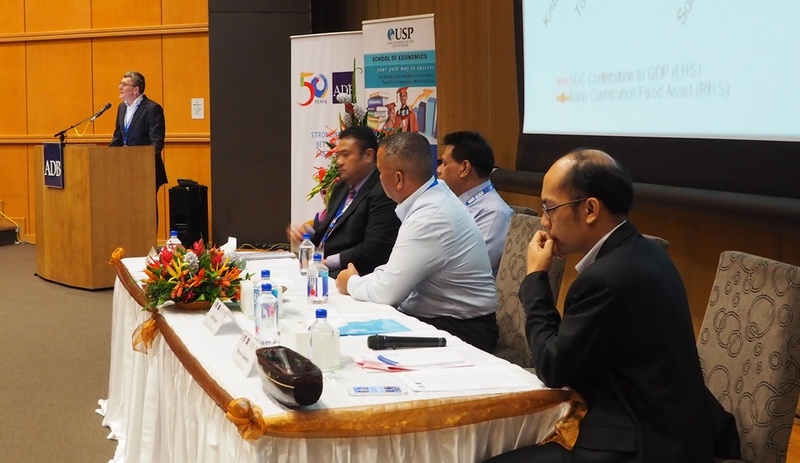 In Honiara, PSDI hosted an event to present the report to government and private sector representatives at the Heritage Park Hotel on 26 July. 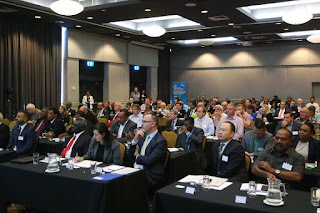 Attendees included Solomon Islands’ Permanent Secretary of Finance, the Governor of the central bank, CEOs of major companies and SOEs, representatives from the chamber of commerce and the Government of Australia, and journalists. The event was widely reported on in the local media. The report provides a snapshot Solomon Islands current business environment, with a particular focus on constraints to private sector investment and growth. 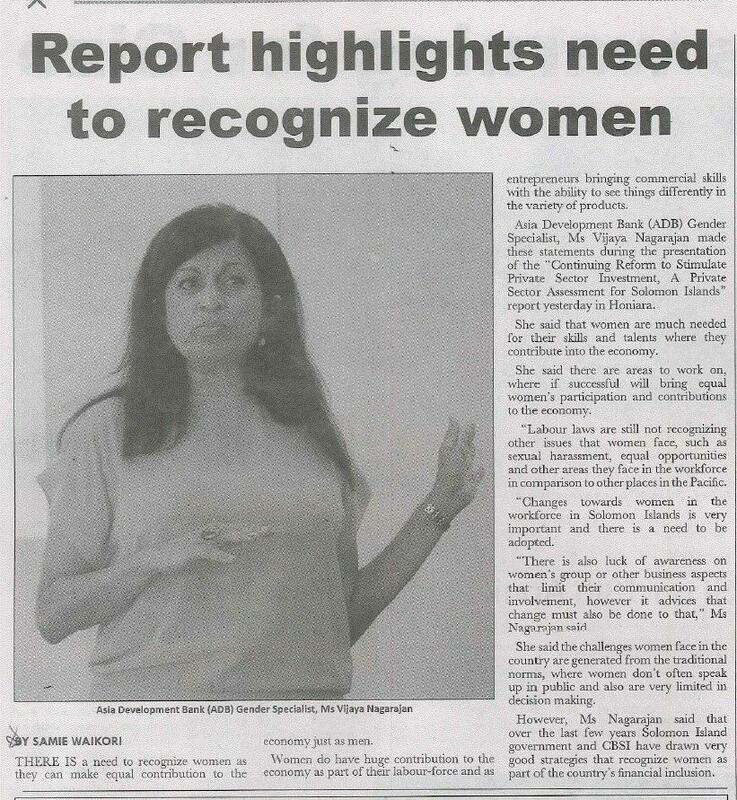 See news release and op-ed published in the Solomon Star. Balance 2016 at the Pacific Update Conference in Suva, Fiji. 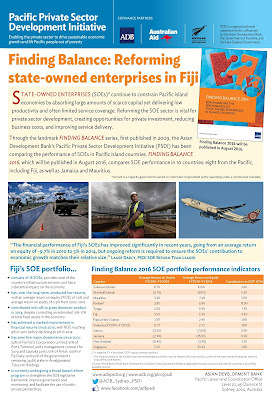 State-owned enterprises (SOEs) are a significant drain on Pacific island economies, with the returns from most countries’ SOE portfolios not even meeting their capital costs, according to an upcoming PSDI report. Advance copies of Finding Balance 2016, the latest edition of ADB’s landmark assessment of Pacific SOEs’ performance, were shared at the Pacific Update Conference at the University of South Pacific, Fiji today. The report finds SOE portfolios in the eight Pacific countries examined contributed only 1.8% to 12% to gross domestic product, despite their very large asset base, ongoing government cash transfers, and monopoly market positions. It also finds productivity levels of the SOEs tend to be well below developed country benchmarks. Fiji-related results from Finding Balance 2016. The report assesses the performance of SOEs in Fiji, Kiribati, Marshall Islands, Papua New Guinea, Samoa, Solomon Islands, Tonga, and Vanuatu, as well as Jamaica and Mauritius. It finds many countries have made significant progress through commercially-oriented reforms. Solomon Islands’ SOE portfolio’s return on equity jumped from -11% in 2002-2009 to 10% in 2010-2014. In Tonga, portfolio returns have increased to 6% from a low of 0% in 2009. Overall, seven of the 10 countries examined had seen improved SOE profitability since 2010. The report also highlights that, while improvements had been achieved, sustaining them has proven impossible in most countries, both developed and developing. Drawing on the experiences of New Zealand and Singapore, the report concludes that increased private sector ownership and operation of SOEs is the only way to lock in reform gains. Finding Balance 2016: Benchmarking the Performance of State Owned Enterprises in Island Countries will be published in August. It will be the fifth report in the Finding Balance series, which identifies strategies to guide reforms of SOEs, highlighting the importance of finding the right balance between public and private sector roles.